When I see impatience rising inside of me, I usually think of the swift technology which has brought this stagnant impatience to life by feeding it dozes of speed adrenaline. But then I realize that we are the ones who have created this technology in the first place, our exigency for ease, speed and comfort has led to our fascinating inventions. I guess we can safely say that our growing impatience is due to a big extent to man-made technology. However, I have discovered that the effect seems to be quite mutual. The same way technology fuels our impatience, our impatience drives the creation of faster technology and we keep turning into that vicious circle that keeps leading to faster technologies and more impatient humans. 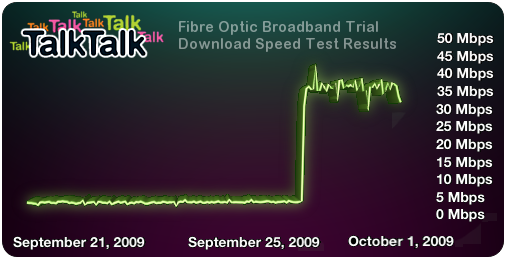 A broadband and phone service company called TalkTalk strives to provide one of the fastest services. It uses speed as the focus in its advertizing campaigns to take advantage of people’s growing need for speed and boost its profits. said Tristia Clarke who works at TalkTalk while commenting on the product. By promising to offer the fastest speed the line can handle, TalkTalk is making it clear that it’s taking speed as a competitive edge and that delivering the fastest service is one of its biggest goals. TalkTalk is committed to provide the agency for the fastest service. As a part of their marketing campaign, TalkTalk conducted a study on the points of impatience of the British people; the results are presented in the next page. TalkTalk has conducted this study to prove that the British people have grown much more impatient recently and to highlight the people’s exigency for their fast innovations. I must say that taking speed as a theme and then proving their target market’s growing impatience is a pretty smart marketing plan. They use their very same target market’s habits and traits to convince them of a certain need which their products can fulfill. AirTel, another broadband and telephone company uses “Impatience is the new life” as the main theme in its TV commercial. Displaying fast forwarded scenes, people tapping the table with their fingertips, a guy swinging his legs back and forth in boredom or tapping the ground with his feet, a race car, a clock ticking, a finger pressing impatiently on an elevator button and a fast moving sea wave are all signs of impatience. Those scenes are not only realistic to most people, they also grow the planted seeds of impatience inside their audience. The statement “wouldn’t you be?” given as an answer to the claim that we’re impatient given in the commercial shows that the commercial is kind of pushing the audience to believe that they are indeed impatient. The skeptical tone of the girl when saying “wouldn’t you be?” felt like she was saying, “come one be honest, you know you’re impatient, admit it”. She seemed to be very suspicious of anyone who would claim otherwise. They display the scenes in a way that convinces the targets that they are the ones represented in the commercial. Using the examples of the variety of friends and the DJ helps people to relate more to what they’re watching and hence see themselves in the commercial. Videos that used to take one hour to load now take five minutes, songs which used to need 30 minutes to play are now downloaded in less than five minutes and movies that used to take 2 days to load, now take two hours to load. Emails are checked on the bus ride and news is read on phones’ apps on the go. In the end, the users are the ones who benefit from this shooting efficiency; they are the ones saving hours every day. Every time, we so defiantly argue against those emerging forms of technology that are promoting impatience, we have to ask ourselves whether we are willing to sacrifice all the technologies at our disposal today for some extra patience.